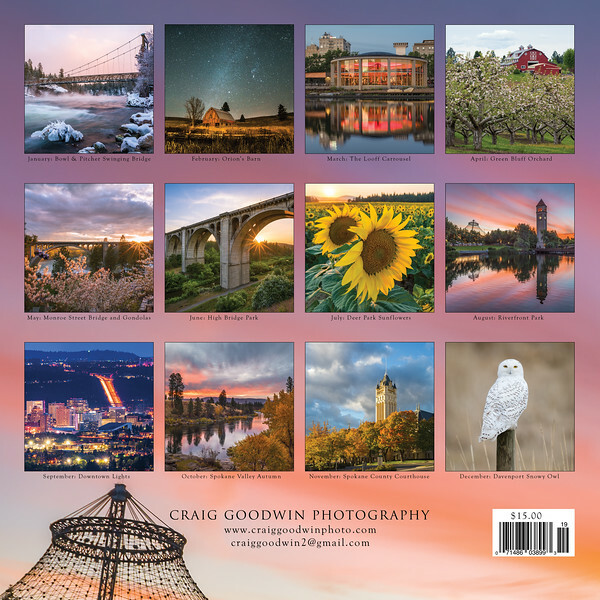 The 2019 Spokane Calendar features unique, fine art photos of the Spokane area. 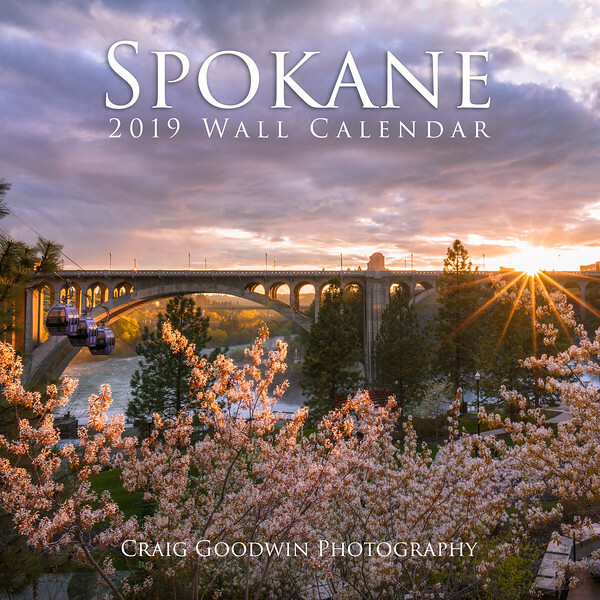 The list of locations featured in the calendar includes the Monroe Street Bridge, Spokane River, Riverfront Park, the Looff Carrousel, High Park, Green Bluff, Spokane County Courthouse, and more. The Calendars are available at the following retail locations in Spokane: Atticus, Pottery Place Plus, Auntie's Books, Northwest Museum of Fine Arts Gift Shop, Deaconness Hospital and Valley Hospital Gift Shops, and at grocery stores throughout the region including Safeway, Rosauers, Yokes, Wal-Mart, Fred Meyer, and Zip-Trip. You can also purchase directly through this website using the "Buy Now" button below. All calendars shipped Priority Mail via USPS or hand-delivered locally. Click the "Buy Now" button below to purchase and have the calendar shipped directly to you. It will take you to my Paypal site where you can pay with a credit or debit card. No Paypal account is necessary to make payment.